"In early 1993, in Scole, Norfolk, members of a small established psychic circle, led by experienced psychic researcher Robin Foy and using the highly-developed mediumistic powers of sensitives 'Alan' and 'Diana', were given the message that conditions were now right for an important and extended experimental project to begin. In this production, you may see some familiar faces, and witness some very unfamiliar occurrences with regard to the paranormal. I invite you to keep an open mind, and to consider the possibilities behind these investigations. 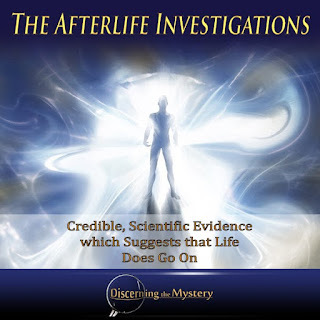 With that, here is The Afterlife Investigations. Everyone is welcome to their own opinion on the matter. Considering how much has been deliberately hidden from us regarding truth within our world, I would invite each of you to remain flexible, and to approach your search for truth with an open and discerning mind.